The life of a college administrator is a busy one! Bruce McPheron, Ohio State's vice president for agricultural administration and dean of CFAES, provides several ways for you to keep up with what's happening across the college. 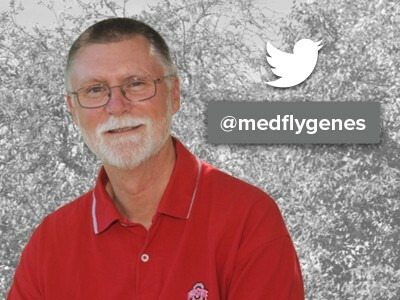 If you're engaged with Twitter, check out @medflygenes to learn more about where he's speaking, groups he's meeting with and activities he's visiting. If Twitter isn't your thing, remember to log in for his monthly webinars, where he shares highlights of activities in the college and recognizes the accomplishments of our faculty and staff. Check out previously recorded webinars here under the section titled "To The College."